I Want a Silverback Father! I’m certain we could learn a lot from silverback gorillas. Not about grooming habits, but about the way they care for their young. The movie Instinct stars Anthony Hopkins as an anthropologist who lives among a community of gorillas for two years. He starts out as a detached observer, but it isn’t long before they win over his heart. He admires and adores these powerful yet gentle creatures and is especially touched by their undying devotion to their young. Gradually, he is accepted as one of them. One day, sitting among the gorillas as they groom themselves and nibble away at leaves, he becomes aware of a constant, attentive gaze that embraces them all. 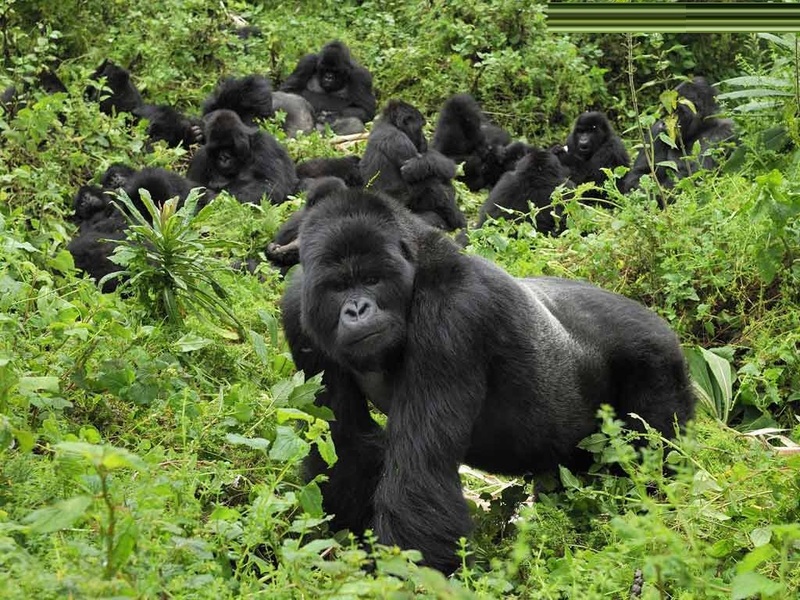 The gaze was coming from the “silverback,” the name given to the chief male—the elder or overseer—of the gorilla clan. His job is to protect and maintain order. “It’s an amazing experience—the feeling of being watched over,” the anthropologist observed. The gravity of that simple statement struck me. I wonder . . . do our children feel “watched over” by their fathers . . . and in this manner? I think a lot of kids feel “watched,” but not “watched over.” To me there’s a huge difference. To be “watched” implies a suspicious, critical eye. “Watching over” combines guidance with compassion. In the quiet hours of the night when I add up the accomplishments of my life, those things that rank first, in terms of true success, have to do with my children. To the degree I have loved, nurtured, and enjoyed them, I honor myself. To the degree I have injured them by my obsessive preoccupations with myself, with my profession, I have failed as a father and a man. The health, vitality, and happiness of the family is the yardstick by which a man, a woman, a society should measure success. We frequently hear the term “the absent father.” This doesn’t necessarily refer to the actual physical absence of a father. It can also refer to emotional absence. Children need to feel that there’s a special place in their dad’s heart reserved just for them. They need to see a certain delight in his eyes when they talk to him about their day or when they share their dreams and achievements with him. They hunger for his full attention—chunks of time in which he’s not distracted by schedules or electronic devices. So, good fathering is about a warm and receptive heart. It’s about being involved and interested. It’s attentive to needs and distresses. It nourishes self-worth. It protects, guides and maintains order. It’s about cherishing and listening. It models strength, self-restraint and kindness. It comforts when there are tears. It accepts when there are mistakes and failures. Being watched over is an amazing experience! The world needs more “silverback” fathers, wouldn’t you say? I don’t know about you, but that speaks to me. I have two sons, and although they’re full-fledged adults now, they’re never far from my heart-thoughts. From the earliest days of changing diapers and changing diapers and changing diapers, I’ve experienced degrees of joy and warmth I never thought possible. But I’ve experienced degrees of frustration and anguish I never thought possible, too. Nope, motherhood is not for the faint of heart. It exhausts and tests you to the point of wondering why you ever signed up for it in the first place. I could say it challenges you to grow—and that’s true—but it’s more accurate to say it forces you to grow. There were times—humble times—when I knew that staying stuck in the old me was merely going to make matters worse. I had to change. I simply had to upgrade my way of seeing and doing things. Yes, my sons have been my teachers in many respects, and I thank them for that. They’ve made me a better person, but most of all, they’ve made my heart grow.